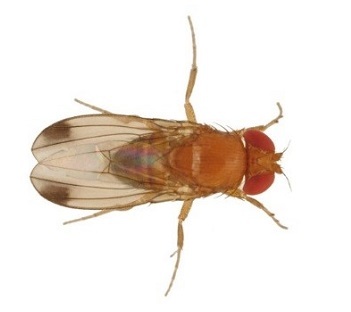 The fruit fly, spotted winged Drosophila (Drosophila suzukii), is a major concern and challenge to fruit production and causes significant economic damage. The fruit fly, spotted winged Drosophila (Drosophila suzukii), is a major concern and challenge to fruit production and causes significant economic damage. Since its introduction in 2008, D. suzukii continues to spread in Europe unabated. Eradication or containment of this pest is not possible, so there is a pressing need for effective, innovative and practical solutions for its control. 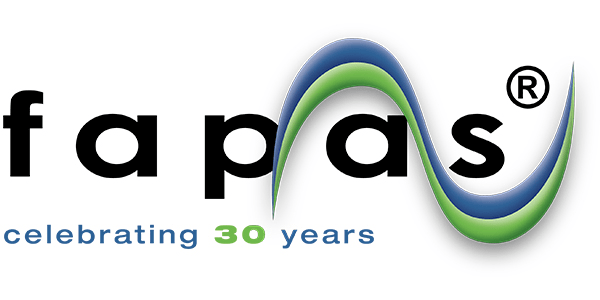 There is also an on-going need for the discovery and development of new pesticides due to the loss of existing products through the continuing development of resistance, the desire for products with more favourable environmental and toxicological profiles leading to withdrawal of active ingredients, and the need to implement the principles of integrated pest management. 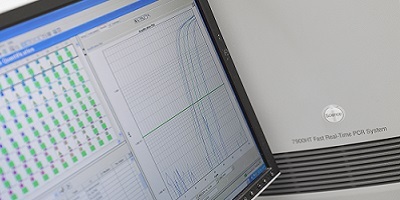 Within the DROPSA project Fera is testing control products (new chemicals and biological agents) in the laboratory that have the potential to be developed for use in the field. Fera is also developing alternative pest control strategies based on disrupting the behaviour and physiology of Drosophila suzukii. Male D. suzukii can be easily identified through their characteristic black spots on their wings (figure 1), which are absent in females. 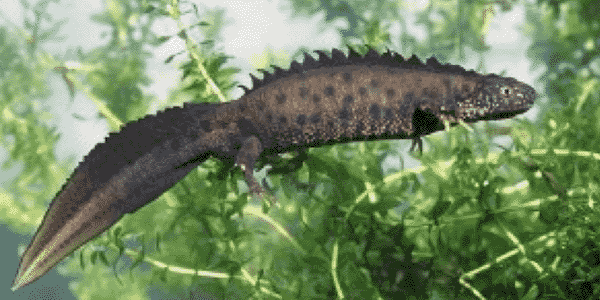 Within this animation, we showcase the fantastic science delivered by the Dropsa project team. Neil Audsley, project lead, Fera said: “It is estimated that insect pests destroy approximately 14% of all potential food production globally. Therefore, it is reasonable to estimate that fruit losses from pests and pathogens accounts for over €10 billion in revenue and 3 million tonnes of produce to the EU fruit industry. Hence the development of targeted integrated pest management (IPM) is vital to minimise the economic impact on fruit production in the EU region.“With this huge challenge on the horizon and with 4 years’ worth of research and know-how, we are well on the way to providing strategies,, instruments and tools to control and manage new and emerging pests”. Currently, broad-spectrum insecticides remain one of the few control options available for D. suzukii. In addition to the potential impact of insecticides on the environment and health, the probability of D. suzukii developing resistance to current available chemical pesticides is high given that flies have many generations per year. Thus, it is of utmost importance to develop strategies to reduce pesticide applications (and find alternative solutions). Fera has tested a range of existing compounds appropriate for use on fruit in Europe, including novel materials (approaching market) as well as already commercialised insecticides. Under laboratory conditions, standard field rates of chemicals were tested either by applying to fruit or directly on to adult flies. Mortality of flies at different stages of development was assessed as a measure of insecticide efficacy. 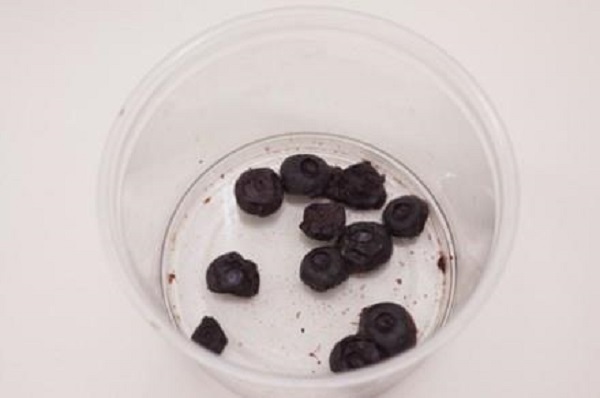 Figure 1 shows untreated blueberries infested with D. suzukii. Two novel products tested were very effective in controlling all stages of D. suzukii development. These products were selected for testing under field conditions by a project partner in Italy. Some species of fungi and nematodes can infect a variety of insect pests, and can have important roles in integrated pest management programmes. Fera has been testing a variety of commercially available entomopathogenic fungi and nematodes, as well as a novel product, to identify potential agents that could be used in integrated, and lure and infect, pest control strategies. Different life stages of D. suzukii or berries were treated with entomopathogenic fungi (Figure 1) or nematodes to evaluate their effects on mortality and development. Entomopathogenic fungi and nematodes all caused reductions in D. suzukii populations, but individually they are unlikely to eradicate or control populations. 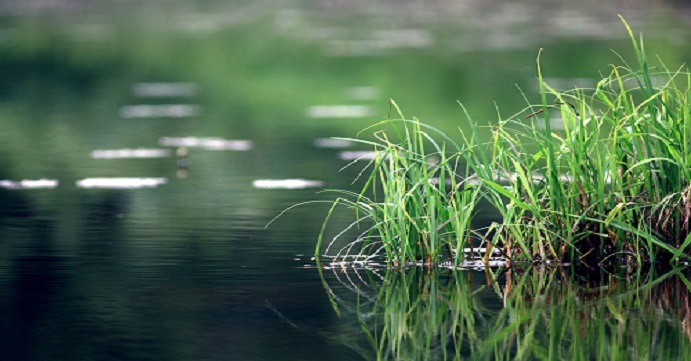 The development of an integrated pest management strategy using nematodes and fungi offers one alternative to complete reliance on chemical products for the control of this pest . Figure 1. 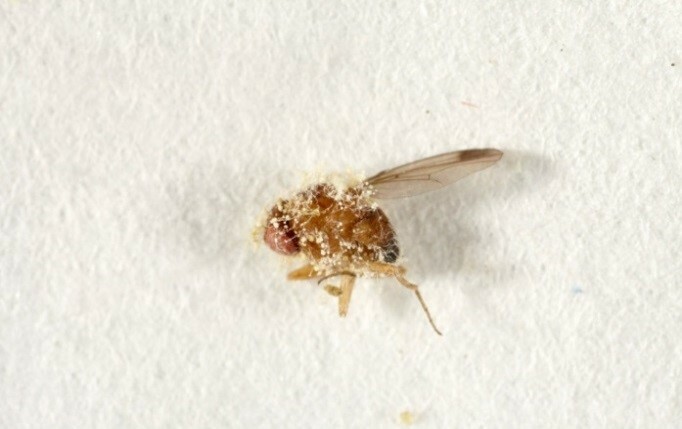 Adult male Drosophila suzukii infected with entomopathogenic fungi. Combating the threats of native and alien pests relies heavily on synthetic chemical pesticides. There has been a significant reduction in plant protection products available to farmers and growers, due in part to the hazard-based restricted use and/or withdrawal of pesticides, and in their effectiveness due to the development of resistance in many pests. Hence the need for pesticides with safe and novel modes of action is becoming increasingly important. Fera is currently identifying alternative targets for the development of pesticides. Neuropeptide hormones and their (G-protein coupled) receptors are responsible for modulating many of the physiological and behavioural processes in insects such as reproduction, growth and development. Modifying the routine function of hormones and their receptors in insects will disrupt the normal fitness causing death or reproductive capacity to reduce pest populations. Hence, neuropeptide receptors are ideal candidates for the development of next generation pesticides (figure 1). 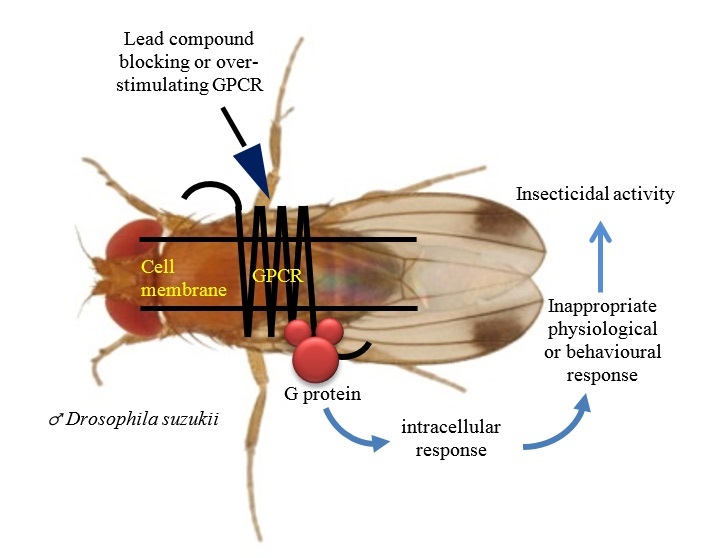 Fera has identified and characterised many neuropeptides and receptors from Drosophila suzukii. Functional cell-based assays have been developed for selected receptors. These assays are being used to determine receptor specificity and identify lead compounds for pesticide development. Neil is a senior scientist who provides strategic research and development into the management of invertebrate pests of agriculture, horticulture, pollinator and tree health importance. Neil's major research interests include invertebrate endocrinology, physiology and biochemistry, peptidomics, novel pesticide targets and delivery systems (including invertebrate hormones and receptors, modifying reproductive behaviour, microencapsulation for enhanced oral uptake, novel toxins and RNA-interference) biopesticides and biorational pesticides.